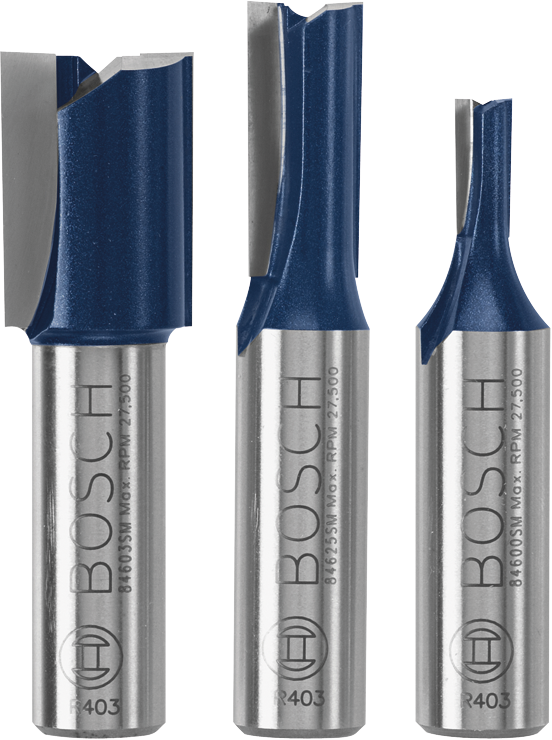 Bosch Carbide-Tipped Router Bits deliver precision and durability. They feature premium-quality micrograin carbide tips that are engineered with a special heat-treating process for an extra-fine finish. 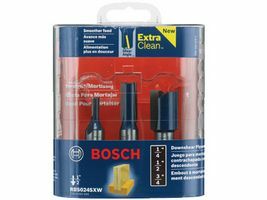 The tips provide maximum sharpness and edge retention. The fully hardened and tempered steel shanks provide ultimate durability. These bits retain painstaking accuracy across hundreds of profiles for mortising, edge forming, trimming, surface forming, and cabinetry/joinery in wood, plastic and laminate.